John Foxx’s Metamatic imprint, in conjunction with Demon, will issue the three volumes of the Ultravox! 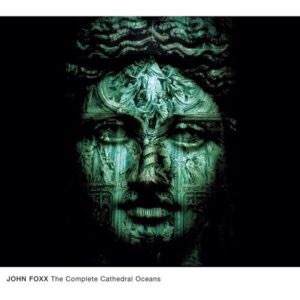 founder’s Cathedral Oceans opus as a deluxe limited vinyl set on September 30. I wrote a short piece about The Complete Cathedral Oceans for This Is Not Retro. Read it here. 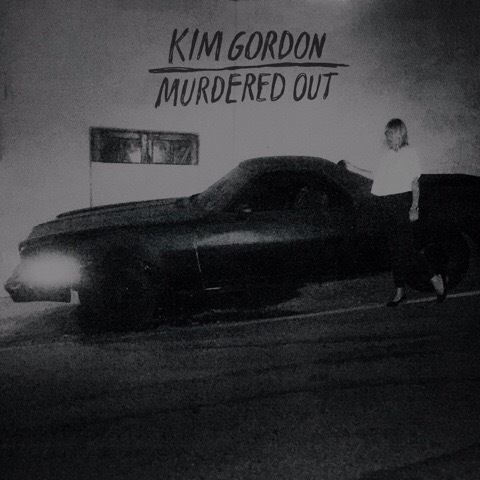 ‘Murdered Out’ is a new collaboration by former Sonic Youth bassist / guitarist Kim Gordon and﻿ producer Justin Raisen, featuring Stella Mozgawa from Warpaint on drums. The track was inspired by Gordon’s move to LA and her observation that so many cars were being resprayed to a black matte finish, a rejection of expected norms and an anti-corporate, anti-establishment, undeniably alternative approach to life. Like that attitude, ‘Murdered Out’ is anything but conventional; everything here is fuzzy, messy and utterly non-linear. Distortion is used with heavyhanded abandon, leaving this track with the same black matte finish that Gordon was originally inspired by. There’s no doubt that the style of the track was entirely conscious and not as loose as it perhaps sounds, but nevertheless Raisen and Gordon give ‘Murdered Out’ a messy, detached quality that’s refreshingly ugly. ‘Murdered Out’ is available on iTunes. Issued by Mute in 2003 to house the various formats of the ‘Twist’ and ‘Train’ singles by Goldfrapp. I’m selling both of these. They can be found on eBay here and here. ‘Is it so wrong, to break from your kiss to turn up a pop song?‘ is the ethical question posed by Art Brut‘s Eddie Argos on the third single to be taken from the band’s 2007 album, It’s A Bit Complicated. The song is an emotional, tender song that manages to merge youthful sexual experiences with a passion for records that seems to eclipse the singer’s interest in the former. Hence the question about whether it’s fine to be as focussed on the music coming from a radio as it is on the, ahem, job at hand. Throughout, Argos manages to paint a vivid image of teenage bedroom awkwardness while big, punked-up clanging guitar riffs and soulful harmonies dominate. The more I listen to Argos’s semi-spoken, semi-sung delivery, with all his clever double meanings and casual observations, the more I think of him as a poet rather than an accomplished indie band’s frontman. The answer to the question, by the way, seems to be a very firm ‘no’, judging by the reaction of the girl in the song. Thanks to Z for help with the preparation for this review. First posted 2012; re-posted 2016. 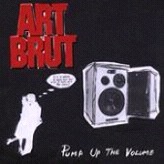 ‘Direct Hit’ was the second single to be taken from Art Brut‘s album It’s A Bit Complicated which was released and marketed by Mute as part of the Labels arrangement with their then-parent EMI. Packaged in a sleeve that evokes school maths lessons (designed by the band and Mute’s art director Paul A. Taylor), ‘Direct Hit’ was released as a 7″ and two-track CD; a digital release was probably also put out, but sadly has been removed from iTunes. ‘Direct Hit’ finds the band in feisty mood, spitting out faintly over-the-top AC/DC heavy guitar riffs that have no logical place on an indie record; Beach Boys wordless vocal harmonies blend in with frontman Eddie Argos‘s finest Colin Newman deadpan (‘here comes the really good bit,’ he says at one point, just like something straight off Wire‘s ‘Map Ref. 41N 93W’). There are also some rattling guitar interjections that wouldn’t go amiss on a mid-period Sonic Youth track, shouty chorus vocals, what sounds like a theremin, lots of instructions to get on the dance floor and move, and even some descriptions of social awkwardness. For a three minute song, that makes for a pretty busy little track and its relativel non-conformity gave some encouragement back in 2007 that perhaps the spirit of punk hadn’t been lost for good after all. Across the CD and 7″ are two B-sides. ‘Dont Blame It On The Trains’ is an ode to staying in the house under a duvet, general laziness and snoozing the whole day away. ‘What am I doing this weekend? Avoiding phonecalls from all my friends,’ runs one of the best couplets on a track that has a musical palette that feels like Blur attempting a cover of The Velvets’ ‘Sister Ray’ in a ‘Parklife’ stylee. The It’s A Bit Complicated album includes a track called ‘Blame It On The Trains’ which is nothing like this. Over on the 7″, the fantastically-titled ‘I Want To Be Double A-Sided’ is an emotional paean to love and insecurity over a rough, garagey groove. Argos’s vocals were apparently recorded on a the tour bus by Mikey Breyer in a car park, all of which gives this the feel of a pencil sketch, and it’s all the more lovely as a result. First published 2012; edited 2016. By rights, this isn’t actually a ‘Mute‘ record at all – it’s one of those EMI releases that Mute marketed, and so it doesn’t carry a Mute catalogue number. It formed part of EMI’s valuing of Mute as a vehicle for representing music from the indie underground, and it said much – to me – about the future direction of my favourite label at that time. It’s hard to listen to this rather angular slice of spiky guitar pop and find any other reference point within the Mute roster of years gone by with which to compare this, apart from maybe 13th Hour band Foil if you squint hard enough. 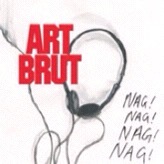 The Mute website proudly claimed that this single had one more ‘Nag’ than Cabaret Voltaire, which of course is totally true, but it seems like a pointless point of reference since Art Brut are the complete antithesis of the Cabs’ industrial ethic. But, criticisms aside, ‘Nag Nag Nag Nag’ is a brilliant example of why 2006/7 was a really exciting period for UK music. Art Brut specialised in acerbic, near-spoken word vocals from lead ‘singer’ Eddie Argos, dark guitar melodies and furious drumming. ‘Nag Nag Nag Nag’, whilst in its own way uplifting, is intense and relentlessly negative – ‘a record collection reduced to a mixtape‘ is just about the most dispirited thing I’d heard in a song since Joy Division, while also anchoring this into a distrust of the iTunes era. B-side ‘I Found This Song In The Road’ continues the theme, finding Argos tapping thoughts into his phone and leaving ‘eighty messages saved and unsent‘; the ultimate act of digital cowardice perhaps, but cathartic nonetheless. Something in the delivery reminds me not just of Foil, but of Wire‘s Colin Newman, but there’s no denying that Art Brut were ploughing their own furrow back then and it was an exciting thing to hear. First published 2006; edited 2016. Olivia Louvel – founder of Cat Werk Imprint and frequent collaborator with Paul ‘PK’ Kendall – has remixed ‘Paris’ from Fiona Brice’s Postcards From album. Brice is a violinist and composer who has worked with many pop acts, as well as having a core role in Placebo. Louvel’s approach is to take Brice’s beautiful violin and piano passages and leave them relatively untouched, pure even, but add beds of sound and tiny, popping beats and other sonic interventions to create a delicate, subtly soundworld. The mix recalls the fragility of Delia Gonzalez’s recent album while also having a textural depth that’s a lot like listening in 3D. 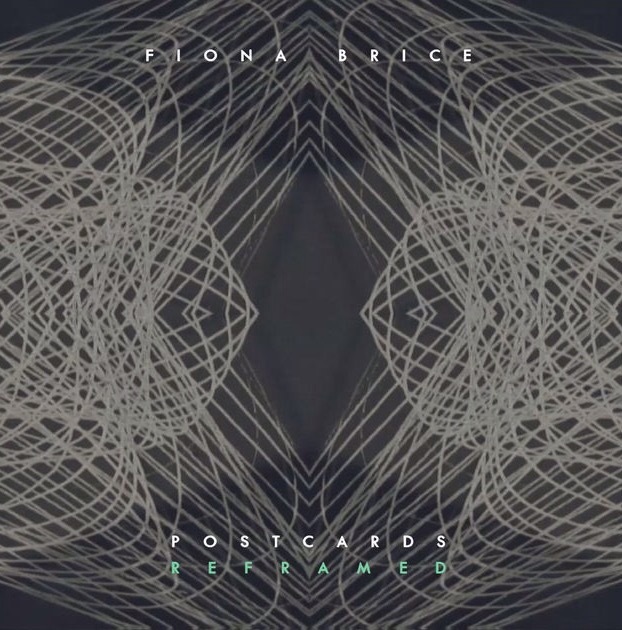 The mix is taken from Postcards Reframed, which is available on iTunes.